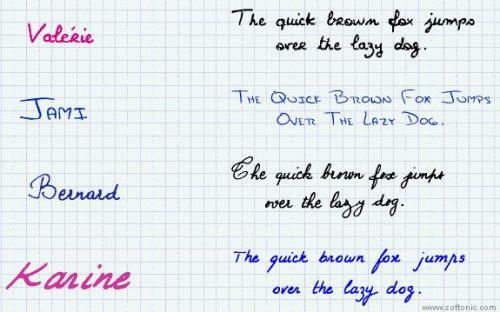 Find below a pack of 17 sources that mimic the handwriting in different ways, including some very elegant and other informal. Download it now from our servers. Remember that we put at your disposal verified files free of spyware and viruses. Soft4Click Com informs that 17 handwriting fonts 15.1 should be only used in accordance with the rules of intellectual property and the existing Criminal Code. The inclusion of any keygen, serial or crack is not allowed and disclaims any liability for the inappropriate use of this software.